Can you picture yourself living in a renovated apartment in an historic, traditional area of Lisbon? This could be the spot for you. You can make yourself at home in this spacious apartment. Comfy living room furniture, ample storage with an extra room off the kitchen, and beautiful details like artwork on the walls and hardwood floors. 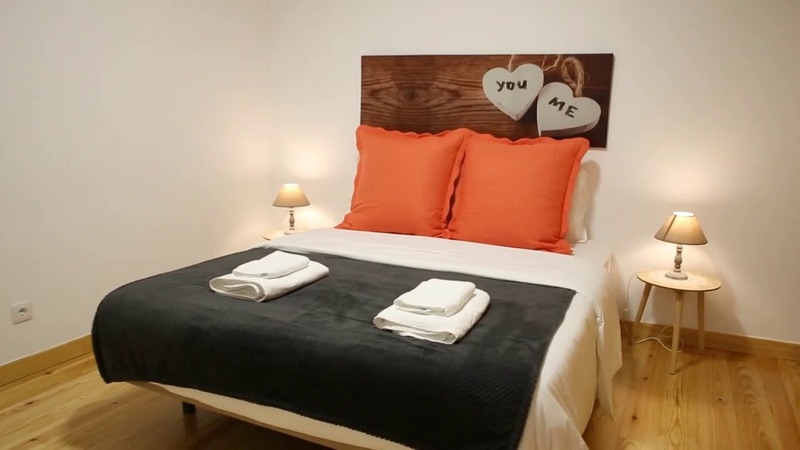 We think it’s perfect for couples or small families. It's a peaceful neighborhood with pretty street views and tons of local restaurants and shops to explore. The furniture is comfortable and set up to relax. There's an in unit washing machine. The perks of modern living. The location. Quiet neighborhood near the river. Sweet. You wont have any AC to keep cool in the hotter months – the perfect excuse to open the windows and enjoy the fresh air. “I loved this property. It’s been completely renovated and in a great family friendly neighborhood." This is a charming 2nd floor, 2-bedroom apartment on Calçada Dos Barbadinhos, Lisbon. It boasts comfortable decor, 2 double bedrooms, and an in-unit washing machine. We think this apartment is perfect for a couple or small family looking for a tranquil spot in a traditional neighborhood. Get to know your neighbors exploring the local shops and restaurants. Relaxing in the living room – the comfy sofa screams chill time. Doing your laundry without leaving the unit – to top it off there's space to dry your clothes just off the kitchen. Walking to the riverfront – it's just 15 minutes away and a real treat. There's a chest of drawers, but no wardrobe in bedroom 2. Good thing the wardrobe in bedroom 1 is so huge. The apartment is on the 2nd floor and there is no elevator. Opportunity to burn off extra calories walking up and down the stairs?